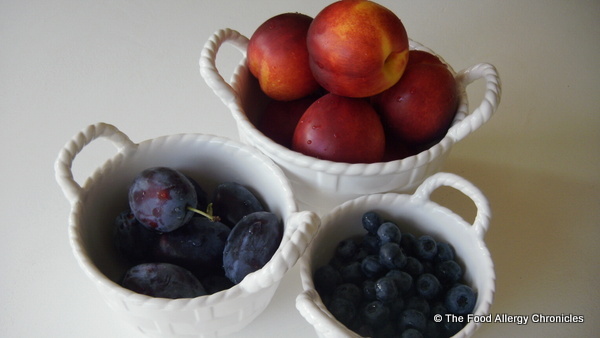 Posted on September 14, 2011 by Susan H.
Nectarines, plums and blueberries are bountiful right now. Using fresh, local, seasonal ingredients always tastes better. 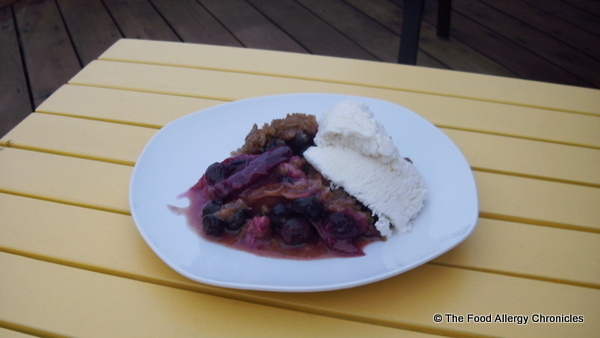 After an end of summer bbq, a scrumptious dessert like Dairy and Peanut/Tree Nut Free Nectarine, Plum and Blueberry Crisp with a scoop of Natura’s Dairy and Peanut Free Vanilla Frozen Dessert or Chapman’s Peanut/Nut Free Vanilla Ice Cream is the perfect ending to the meal. This recipe has been adapted from Canadian Living’s Country Cooking Cookbook. Place sliced nectarines, plums and blueberries in a 9″ baking dish. Toss with lemon juice and flour. 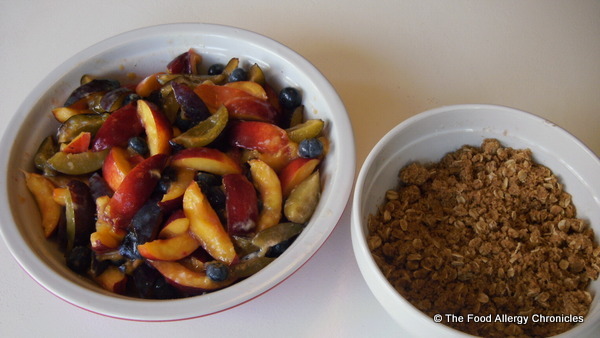 Mix together the dry crumble ingredients with a fork. Sprinkle crumble over the fruit. 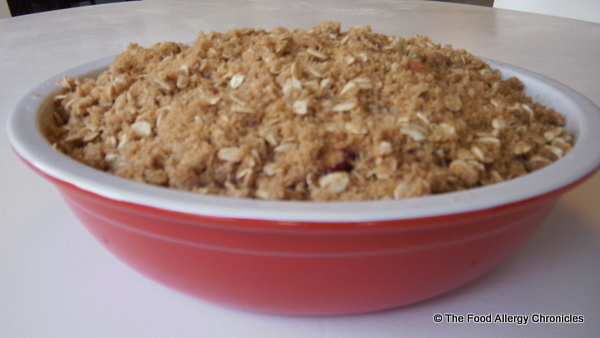 Bake at 375F for 30 minutes or until fruit is bubbling and crumble is browned. 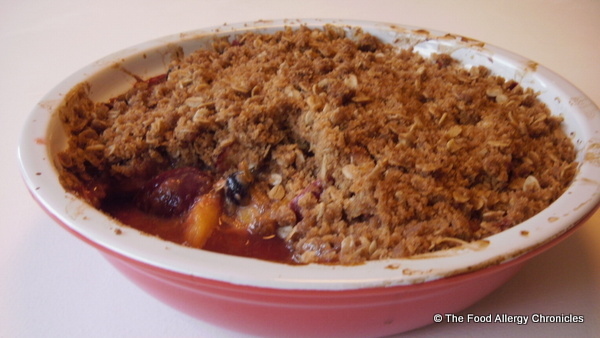 This entry was posted in crisps, dairy free, dessert, egg free, oats, peanut/tree nut free, sesame free, soy free and tagged dairy free nectarine plum blueberry crisp by Susan H.. Bookmark the permalink.